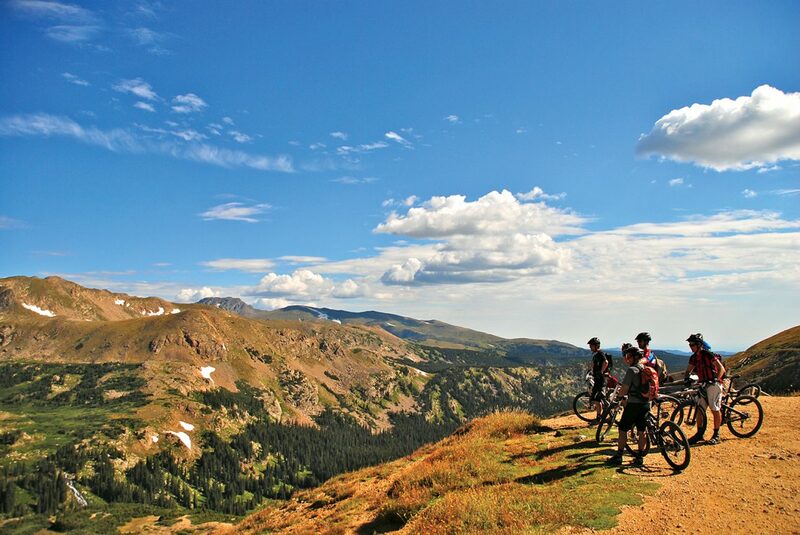 Mountain biking in Grand County and the Winter Park area is one of the best secretes of the mountain bike world. Hundreds of miles of trails are just waiting for you and it doesn’t matter if you have little skill or experience or have legs of steel. There is something for everyone. 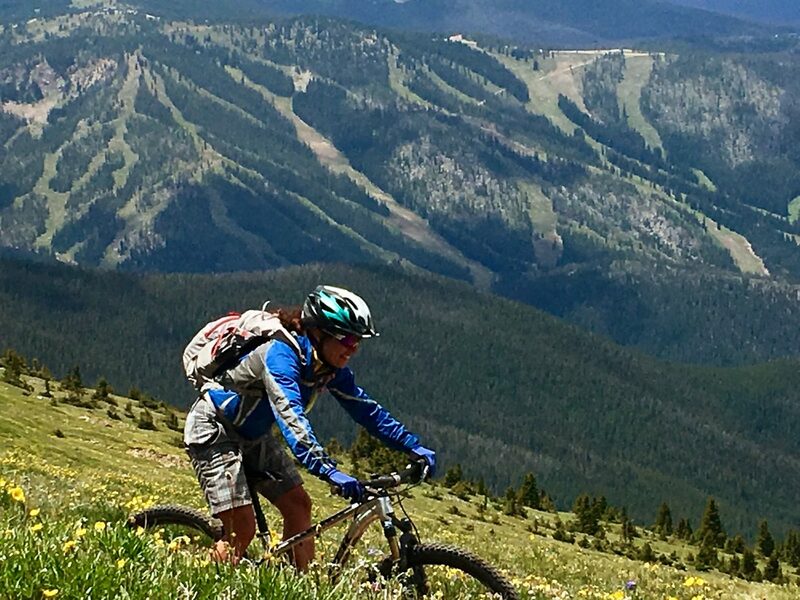 While Grand County has an amazing amount of trails the vast majority of mountain biking trails are in the Winter Park area. This is mainly due to the efforts of local trail organizations such as the Headwaters Trails Alliance and Grand Mountain Bike Alliance. Add to that the trail improvements done by the Town of Winter Park, USFS, BLM, Winter Park Resort (aka Trestle Bike Park) and our local hidden gem Granby Ranch and you have an amazing network of world class mountain biking trails just waiting for you to explore. Your greatest challenge may be just deciding what trails to ride. 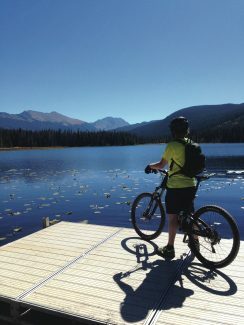 The Winter Park area has miles of amazing Colorado singletrack and two track, all of which are accessible from downtown Winter Park. Access to mountain biking in Winter Park is fairly unique. You don’t need to drive to ride. Trail heads and access can be had throughout the Winter Park and Fraser area. To find out more information go to Mountainbikecapitalusa.com for maps and trail and route suggestions. Our local bike shops have free maps and great advice as well. As locals we are fortunate to be able to ride these trails every day. For many others it is a matter of trying to jam in some great experiences in just a few days. I have a few suggestions for you (all of these are on the free mountain bike trail map). No experience in Winter Park is complete without riding our world famous Tipperary Race Course. It’s not that it is hard that makes it a must but that it is fun and has a great variety of terrain. Epic climbs though mountain meadows, smile inducing singletrack on the Flume Trail, technical classic Colorado singletrack on WTB are just a few reasons to make this a must do. Don’t overlook the trails close to town as well. Leap Frog is a great area to practice your technical skills (with ride around options). Boulders, rocks and variety of trail challenges make this a fun area just a few minutes west of town. Looking for some more fun singletrack? Head east of town to the Idlewild trail system and explore some great local favorites such as Twisted Ankle, Broken Thumb and Yankee Doodle! Let’s not forget some of the great bike events going on this summer. The Epic Singletrack Series http://www.epicsingletrack.com is one of the best mountain bike race series in the US. Many a world class racer has raced this event not only as professionals but as young kids just learning to race. 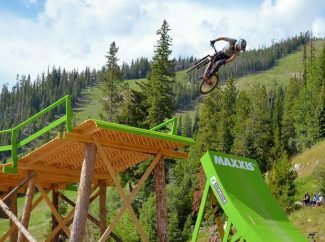 Mountain Bike Capital Weekend coincides with the Colorado Freeride Festival on July 28th to 30th. 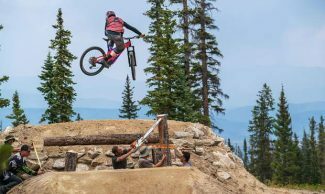 Join in on mountain bike tours and skills clinics run by national cycling champion Alison Powers or watch some of the best freeride mountain bikers in the world at the Colorado Freeride Festival. I hope to see you out on the trails. When you out there, don’t forget to smile and say hi! That’s just how we roll in Winter Park! Looking for more information or want to get involved as a mountain biker? Like Grand Mountain Bike Alliance (GMBA) on Facebook. GMBA is your local mountain bike group. Check out Mountainbikecapitalusa.com.and don’t overlook our great trails organization headwaterstrails.org Great site by the Winter Park Chamber! Keith Sanders is the President of the Grand Mountain Bike Alliance, three-time U.S. National Mountain Bike Champion and owner of Beavers Sports Shop. You can reach him at keith@winterparkskirental.com.